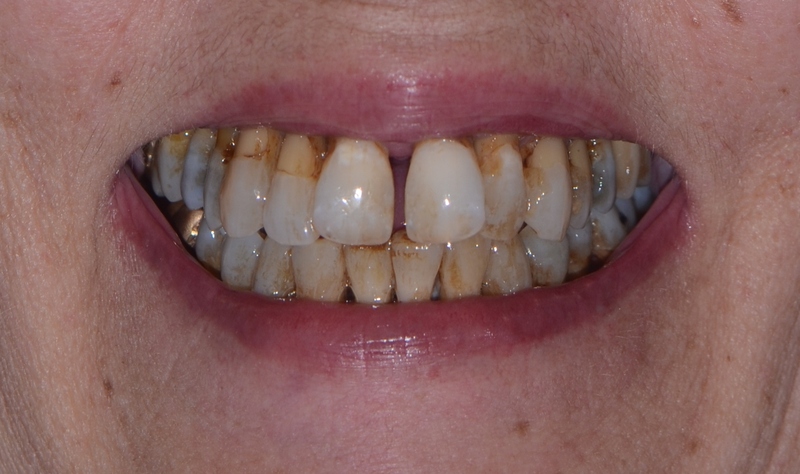 Diane has been a patient of mine for many years and had always struggled with gum disease and cavities due to poor enamel and a genetic high risk for gum problems. Her dental problems started early and as a child needed frequent dental care. Unfortunately, dental care was not always as gentle as it is now and Diane developed a strong fear of dental treatment that further complicated things. This resulted in the need for involved treatments on a regular basis. One day at a routine cleaning, I asked Diane what she thought her dental future might look like. She replied that she worried she might not be able to tolerate the dentures that she felt she was doomed to have. Gagging and inability to eat were big concerns. The next week we sat down to review her options and give her a better idea of what we could do to ensure that she could enjoy her smile and teeth the rest of her life. In fact, we knew we could make her smile better looking and more comfortable than it had been in years. Diane started the process the next week. Impressions, photographs and 3D imaging from our CT scanner were done in one visit. We also looked at models and photos to design the exact shape, style and color of teeth she wanted. We then scheduled her surgery under general anesthesia at our office surgical suite. The surgery was about 4 weeks later and went exactly as planned. When Diane woke up and she saw her smile for the first time she was actually tearful at seeing straight white teeth again. The only real complaint that Diane had during the 3 month healing period was that she felt they were strong enough to eat raw nuts with even though we insisted she stick to relatively soft foods. We had to kindly remind her that as strong as they feel, the bone still needs to heal until the final porcelain teeth are made. 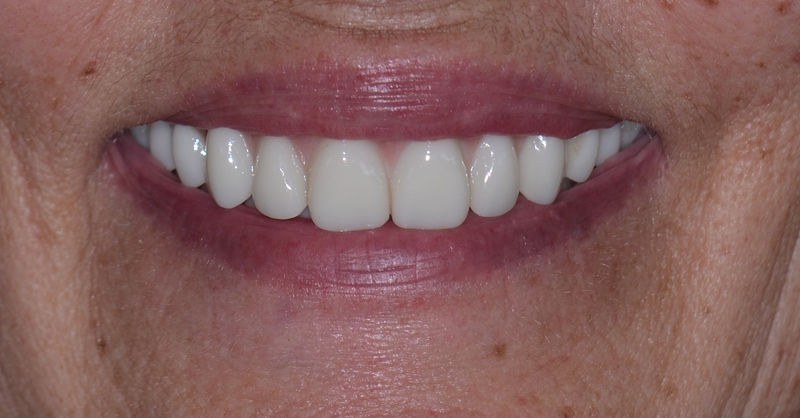 Thank you, Diane, for letting us help with your smile! the dentist at all costs until their situation is unbearable. and reversible feeling of relaxation. This is best for short procedures. limited or no memory of the visit. for you to complete any dental work in the most comfortable and safe manner. 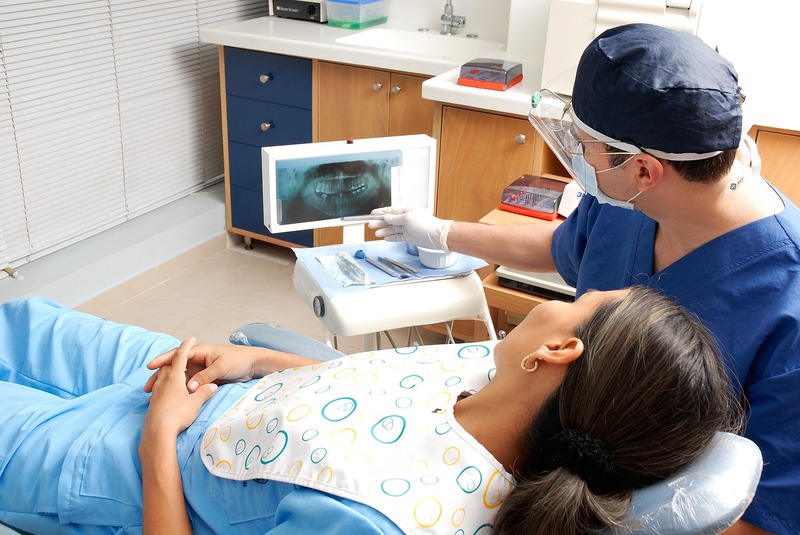 Learn more about sedation dentistry, Dr. Howard and the center for advanced dentistry here.